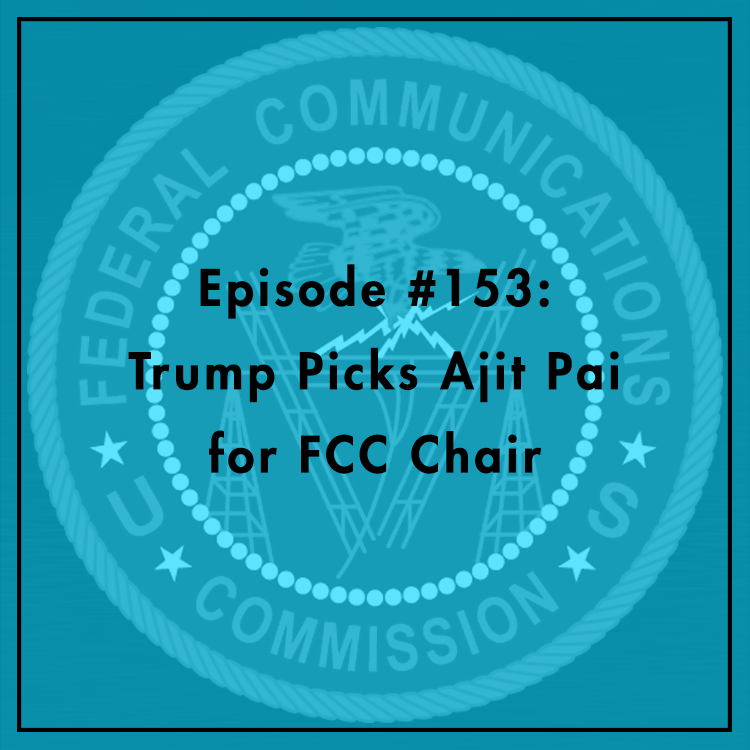 Early this week, the White House confirmed that President Trump picked FCC Commissioner Ajit Pai to chair the agency. This means that Republicans have a 2-1 majority until the vacancies can be filled by candidates confirmed by the Senate. While some of his more hysterical critics pull their hair out over the impending “death of the Open Internet,” others are looking forward to a new direction at the FCC. Hopefully this is characterized by a renewed spirit of bipartisanship on a wide range of telecom issues, including net neutrality and broadband deployment. Pai has proposed “Gigabit Opportunity Zones” to jumpstart broadband in both urban and rural low-income communities. What else can we expect from the new FCC? Evan and Berin discuss.